Three miles west of Picayune, Pearl River County. The cemetery is next to New Palestine Baptist Church. 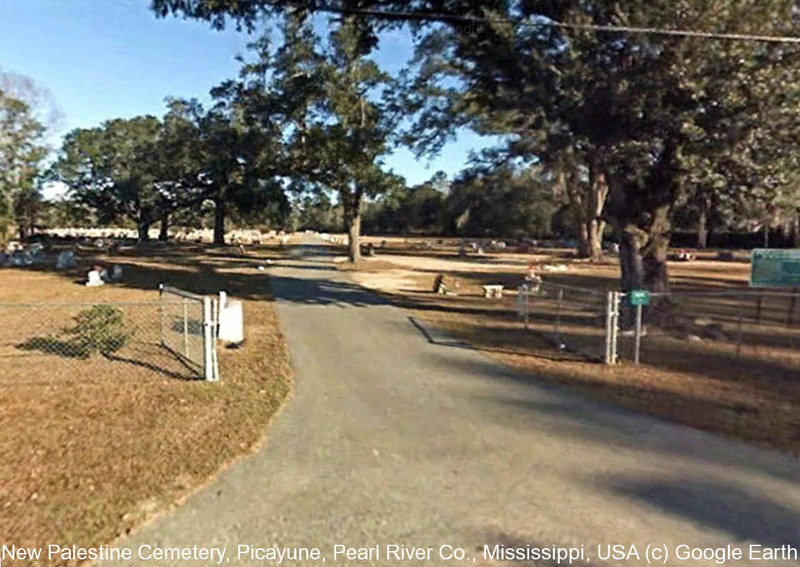 The cemetery is divided into three sections, with approximately 45 grave spaces on each row; referred to as Sections 1, 2 and 3. All rows are read from left to right.